This is to draw your immediate attention towards the violation of Indian laws, Basel Convention by two end-of-life ships namely, Maersk Georgia and Maersk Wyoming and the recent report of DanWatch (October, 2016) about the conditions at Alang beach, Bhavnagar, Gujarat. Maersk is the world’s biggest ship owning company based in Denmark. The report emerged out of the collaborative investigation by DanWatch, the daily newspaper Politiken and broadcaster TV 2. The report is available at https://www.danwatch.dk/en/undersogelse/maersk-og-de-lyssky-aftaler/. We submit that both these ships are in violation of Hon’ble Supreme Court’s order and the Shipbreaking Code. Hon’ble Court has upheld UN’s Basel Convention on the Control of Transboundary Movements of Hazardous Wastes and Their Disposal. The implication of this direction is that all the ships which are entering the Indian territorial waters have to show compliance of Hon’ble Court’s order seeking prior decontamination of the ship in the country of export. In case there is non-compliance, all these ships should go back to country of origin. Hon’ble Court has categorically said in its order of July 2012 that all Ships coming for dismantling have to follow Basel Convention and if there is any violation, action should be taken according to the Municipal Laws. We wish to draw your attention towards the 15 page judgment of Hon’ble Court dated July 30, 2012 in the matter of end of life US ship Exxon Valdez. Hon’ble Court conclusively directed that "...in all future cases of a similar nature, the concerned authorities shall strictly comply with the norms laid down in the Basel Convention or any other subsequent provisions that may be adopted by the Central Government in aid of a clean and pollution free maritime environment, before permitting entry of any vessel suspected to be carrying toxic and hazardous material into Indian territorial waters." The July 30, 2012 judgment reads: "Such relief would, of course, be subject to compliance with all the formalities as required by the judgments and orders passed by this Court on 14th October, 2003, 6th September, 2007 and 11th September, 2007 in the Writ Petition." We submit that the report of Danwatch et al underline the dubious practices of Maersk in the sale of 14 ships for dismantling on the beaches of Bangladesh and India. ToxicsWatch Alliance (TWA) has learnt that these reports have been broadcasted and published on TV2 and Politiken respectively besides its dissemination by others in the media. We wish to inform you that drawing on DanWatch findings a Brussels based group NGO Platform on Shipbreaking has disclosed that in late 2013, Maersk sought early termination of a charter party for 14 ships due to the vessels’ poor rentability and the general overcapacity in the container ship market. Maersk had previously been the owner of the vessels before they sold them to a finance construct in Germany, MPC Flottenfonds III, in 2009. Maersk then continued operating them based on a long-term charter. In 2014, the Platform investigated that the 14 vessels operated by Maersk had ended up in some of the worst shipbreaking yards in Bangladesh and India. It has been revealed that Maersk’s addendum to the charter contract explicitly asked the German owner through a clause in the contract to ensure the immediate demolition of the vessels in order to get them off the market. 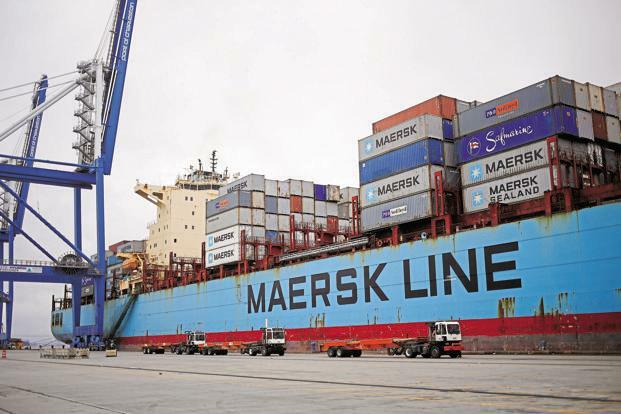 Maersk demanded in another clause that the vessels had to be sold for the highest price available on the scrap market – without any consideration of environmental or social standards. 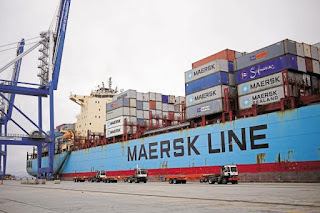 Maersk put pressure on the ship fund to sell the 14 vessels for a minimum price of 447 USD per ton, a price that corresponded at the time to the prices offered in South Asian beaching yards. No facility operating under safe and sound conditions would have been able to pay such a high price. Besides this the contract between Maersk and MPC states that if MPC were to sell the vessels for a lower price, Maersk would have to pay the difference and if MPC managed to sell for a higher price, it was under an obligation to pay Maersk the difference in profit earned. We submit that revelations in the Danish media about Maersk’s dubious deals shows that unlike in the past Danish Government has not been acting to ensure compliance with Basel Convention. We submit that Maersk did a volte face and has continued in a business as usual manner of contaminating Alang beach. We submit that Maersk plans to transfer some five dozen ships to the beaching yards in South Asian waters by disassociating itself from its off-the-beach policy. We submit that in manifest violation of existing international law and national laws, Shree Ram company received a Statement of Compliance with the Hong Kong Convention (which is yet to come into force) from the Japanese classification society ClassNK in December 2015. We submit that in a public relations exercise Maersk invited international and Danish journalists to a tour of the Alang shipbreaking yards in the last week of September 2016. Prior to this European Community of Shipowners’ Associations (ECSA) too had organized a visit for selected EU Member State representatives and national ship owners’ associations to Alang. Both these visits ensured that civil society and independent persons do not witness the ongoing poisoning of Alang beach. We submit that comprehensive report based on site visit inside Shree Ram shipbreaking yard in Alang shows that Hon’ble Court’s order and Code has been violated with impunity. The report shows how the inter-state migrant workers from states like Uttar Pradesh, Bihar, Jharkhand and Odisha are exposed to hazardous risks in the process of dismantling of ships in the ecologically fragile coastal zone. We submit that Gujarat Maritime Board and Gujarat Pollution Control Board is complicit in allowing Maersk to promote environme3ntally damaging beaching method, which has been abandoned by Europe, the US and China. We submit that the committee should examine the practices of Maersk and its competitors like Hapag Lloyd, Wilhelmsen, Wallenius, Hoegh, Grieg, CSL and Royal Dutch Boskalis. We submit that contrary to the claims of Maersk and Shree Ram most of the vessels being dismantled are contaminating the beach sand and water because containment of pollution is impossible on a beach. We submit that the recent report reveals that workers face grave enviro-occupational health hazards and unsafe working environment. The workers who employed at Shree Ram and who involved in the demolition of the Maersk Georgia and the Maersk Wyoming do not have any contract or any written document regarding their employment. We submit that workers in Alang do not have proper housing, sanitation facility and hospital for severe injuries. TWA deprecates efforts by Maersk and other European agencies besides other ship owners to act as if Hong Kong Convention on Ship Recycling is a fait accompli although it is unlikely to come into force. This Convention is anti-India, anti-environment and anti-worker. We submit that the story of the entry of these Danish ships is just the tip of the iceberg. This ship of US origin is treading the questionable path of infamous ships whose questionable entry was fought legally. These ships include RIKY (ex-Kong Frederik IX, which entered on a flag of a country named ROXA which does not exist), Le Clemenceau, SS Blue Lady (ex- SS France, SS Norway), Platinum II (ex- SS Oceanic, SS Independence) and Exxon Valdez (renamed Oriental Nicety) and others. It may be recalled that Shree Ram was involved in the Le Clemenceau case where it was proven wrong. We submit that the dead vessel contains hazardous materials, making its final voyage from the Europe to India illegal waste trafficking under the Basel Convention, which controls the transboundary movements of hazardous wastes. These vessels contain polychlorinated biphenyls (PCBs) and asbestos like hazardous substances. We submit that given the fact that both Denmark and India are Parties to the Basel Convention, both have failed to fulfill their responsibility and their clear legal obligations and have endorsed the environmental injustice of free global trade in toxic waste. We submit that the hazardous waste management costs and occupational health safety costs of the dead ships in question would have been significant in the Europle, perhaps even higher than the value of scrap metals contained in the vessel, especially with commodity prices so low. Hazardous waste management costs are not an important consideration at the beach breaking facilities on Alang beach, Bhvanagar, Gujarat. Hazardous waste streams, PCBs in particular, aren't treated or disposed of with the necessary care, hence a cost savings at the expense of environmental and human health. Asbestos-containing materials are even being resold for further use although asbestos is banned in over 50 countries and Government of India too has announced that it is considering to imposition of ban on the killer mineral fibers of asbestos because it is impossible to use it safely and in a controlled manner. We submit that it should not be forgotten that under the watch of DG Shipping and Indian Coast Guard Danish ship RIKY had entered Indian waters during Shri A Raja years. Till date institutional accountability for allowing the entry of this dubious ship has not been fixed. We submit that waste follows the path of least resistance. Unlike governments in Europe which have maintained a policy that requires protection of its beaches, Government of India has been offering it’s ecologically cherished and biodiversity rich beaches for end-of-life ships to richer countries. These Governments allows their private ship-owners to legally reflag their vessels for disposal on foreign beaches like the ones in Alang, Gujarat. We submit that our Inter-Ministerial Committee (IMC) on Shipbreaking since its creation in 2004 in compliance with the order of Hon’ble Supreme Court dated October 14, 2003 till its replacement without intimating the Hon’ble Court made several recommendations for remedial measures. We submit that both the MAESRK ships are violating the Shipbreaking Code 2013 which has been prepared in compliance with Court’s order of 6th September, 2007 states at clause 8.3.6 that “In the event of any question arising out of the interpretation of any of the clauses of the regulations, the decision of the Ministry of Shipping shall be final.” It is noteworthy that prior to the notification of the Code in the Gazette on 7th March, 2013, the subject matter of ship breaking was with the Union Ministry of Steel as per the list of subjects allocated to the Ministry of Steel, under the Government of India (Allocation of Business) Rules, 1961 given the fact that the shipbreaking is admittedly an exercise in secondary steel production. We wish to draw your attention towards an affidavit filed in the Hon’ble Supreme Court on July 16, 2012 by Shri Sugandh Shripad Gadkar, Deputy Director General (Technical), Directorate General of Shipping, Mumbai wherein he stated that the Union Ministry of Shipping “does not come in picture” in the matter of shipbreaking. The affidavit was filed in the Writ Petition (Civil) No.657 of 1995. It is in this very petition that the Hon’ble Court gave the direction for creation of a Shipbreaking Code. The core question is if the Ministry of Shipping “does not come in picture” till July 16, 2012, which internal and external forces have brought it in the picture now. We demand a parliamentary inquiry into the circumstances which led to this decision because issues of shipbreaking are also linked to issues of maritime and national security as has been recorded repeatedly in the minutes of the IMC. We submit that Union Ministry of Shipping has informed the Rajya Sabha about its failure to get “Different type of dangerous and Hazardous goods” lying at different ports from different dates starting from March 1983 removed. In a specific case of containers of “Methyl Monomer” lying at New Mangalore port, it was stated that it is there because of “Inadequate storage space in the factory premises of M/s BASF, Mangalore”, the importer. BASF is the world's largest producer of acrylic monomer. BASF is the largest chemical company in the world and is headquartered in Germany. Is it convincing that such a company has “Inadequate storage space in the factory premises”? In such a situation the decision of transferring decision making with regard to shipbreaking to a ministry which has admittedly failed to save country’s coastal environment from “Different type of dangerous and Hazardous goods” is highly questionable. We submit that there is a strong apprehension that lobbies from Europe and countries like USA and Japan have been at work to make Ministry of Shipping the focal point for ship breaking/recycling because the Ministry in question and Gujarat Maritime Board (GMB) appear to have been persuaded to support International Maritime Organisation (IMO)’s anti-environment and anti-worker Hong Kong Convention on Ship Recycling which is unlikely to come into force. It has come to light that an ex-employee of IMO who was involved in promotion of the questionable text of the Hong Kong Convention is now working with a US based company owned by a person of Gujarati origin, visited concerned government officials in Mumbai and New Delhi in the third week of November 2015 and was present in an official meeting without any locus. The fact is that Hong Kong Convention is a text which has been prepared under the influence of rich ship owning countries and their companies is meant to sabotage Basel Convention. These transnational companies who are attempting to escape their decontamination and environmental and occupational healthy safety costs in their own countries have already succeeded in diluting the European regulation with regard to end-of-life ships. Now they are working to formalize the dilutions that they have achieved in terms of enforcement of pre-existing regulations created on the lines of Basel Convention through repeated attempts to create precedents for transfer of their dead ships without prior-decontamination in the country of export. The case of Maersk ships is part of that game plan. We submit that the text of Hong Kong Convention which was adopted by the IMO in May 2009 fails to prevent the transboundary movement of hazardous wastes found within end-of-life ships and is insensitive towards human rights and environmental damages caused by shipbreaking yards on the Alang beach in Gujarat. Similar situations exist with regard to ship breaking yards in Bangladesh and Pakistan. The text fails to incorporate the letter and spirit of the Basel Convention with requirements for other forms of toxic waste. The text fails to reflect Basel Convention’s core obligation - minimisation of transboundary movements of hazardous waste. It fails to outlaw flawed method of breaking ships by “beaching” them in fragile ecosystem to cut and split the ships wide open on tidal flats. The containment of oil and toxic contaminants is not possible. These toxins enter the marine environment. Such working space cannot safely use cranes alongside ships to lift heavy cut pieces or to rescue workers or to bring emergency equipment (ambulances, fire trucks) to the workers or the ships. We submit that the text of the Hong Kong Convention cremates the Polluter Pays/Producer Responsibility Principle, Environmental Justice Principle, Waste Prevention/Substitution Principles and Principle of National Self Sufficiency in Waste Management. Therefore, there is a compelling logic for India to strictly adhere to Basel Convention that covers the recycling and disposal to final disposition, the text of the Hong Kong Convention stops at the gate of the ship recycling yard. It means that the most hazardous substances such as PCBs and asbestos, once removed from the ship is not be covered by this text. In effect, this constitutes weakening of existing international legal regulations against exploitation of migrant workers and the coastal environment by the global shipping industry at the end of the life of a ship. We submit that most harmful hazardous materials from the dead ships will enter Indian territories via a recycling yard. It is an escape route from the Basel Convention. 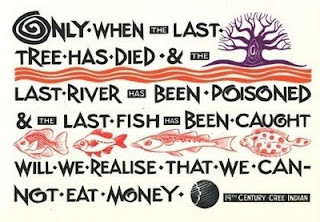 If they succeed it will burden present and future generations with a toxic legacy. We submit that the text of Hong Kong Convention fails to ensure the fundamental principle of “Prior Informed Consent”. In this Convention ‘reporting’ takes place only after the hazardous waste ship arrives in the importing country’s territory that a competent authority has the right to object and the objection allowed is not to the importation but to the ship recycling plan or ship recycling facility permit. Thus, India is being forced to receive toxic waste in the form of ships which can become abandoned and for which their importation cannot be remedied by any right of return. We submit that International shipping industry is so powerful an industry that it succeeded in their task of shipbreaking transferred from Ministry of Steel to more amenable Ministry of Shipping to do their bidding by ratifying the text of the Hong Kong Convention. It will create a far weaker set of rules for their advantage and establishes a very unhealthy precedent in international law and policy. It is a regressive step with respect to international governance, protection of human rights and the environment. Having succeeded in Paris and Nairobi negotiations on climate and trade, the richer countries like USA are obstinately pursuing the path of undermining Basel Convention from maintaining its legal competency over toxic end-of-life ships. These commercial czars are resisting adoption of green design for ships. We submit that the main concern is that Maersk ships are end of life ships and the entire ship itself is hazardous waste which is regulated under Basel Convention as it is embedded with asbestos waste, cables containing PCT, heavy metals, paint chips etc. It is noteworthy that Basel Convention is related to the control of trans-boundary movements of hazardous waste and their disposal. Notably, ships destined for ship-breaking operations are "hazardous wastes" under the Convention. We submit that Maersk is yet another test case that will demonstrate whether or not Government is allowing India to bear the burden of the world’s ship-borne toxic wastes under the influence of ship owners and ship owning countries that deploy all the dirty tricks including linguistic corruption to continue to externalize the real costs and liabilities of ships at end-of-life. As per Ship Breaking Code 2013, “All ships entering Indian Maritime Zones are required to inform Maritime Rescue Coordination Centre (MRCC). The prior information to Port shall also include that the ship, as it enters Indian Search and Rescue Region (ISRR) should pass its information to MRCC/Indian Coast Guard stating that it is bound for Recycling Yards for ship recycling.” The committee should examine the circumstances that led to anchoring and beaching of these Danish ships in violation of every rule in the rule book. We submit that Government of India should be held accountable for its colossal failure. It has failed to communicate unequivocally to the enemies of Basel Convention to “Keep your own waste” in order to be eco-friendly. Our country has enough of its own waste. It does not need its dumping in myriad disguises by rich countries. Had regulatory agencies been competent to manage our own waste there would have been no need for a “Swachh Bharat Mission (Clean India Mission)”. We seek your intervention to ensure that India does not become a dumping ground. Maersk is acting as if rule of law is irrelevant for its operations in India. It is setting a very bad and unhealthy precedent and opening the gates for dumping of hundreds of hazardous dead toxic ships in Indian waters. It is evident that Government of India is not offering resistance to dumping of wastes because concerned ministers and officials are hand in glove with the hazardous waste traders. There is documentary evidence in this regard. The movement of hazardous waste in the physical space and in the policy space is quite explicit. The domestic rules for regulation of hazardous wastes like end-of-life ships has been framed, reframed, amended and diluted to offer a regime of free trade in hazardous waste to international shipping companies and recyclers. The violation of these rules has been underway for quite some time due to deliberate lack of coordination between central ministries of defense, commerce, finance, shipping, steel, and environment, forests and climate change. In effect, country’s sovereignty is being compromised undermining its security ecosystem. We submit that enemies of UN’s Basel Convention on Transboundary Movement of Hazardous Wastes and Their Disposal are having a field day due to complicity of ministers and officials of questionable integrity. This merits parliamentary inquiry as well. ToxicsWatch Alliance (TWA) has been working on the issue of hazardous wastes and ship breaking for over decade. It has been an invitee and participant in the UN Conventions. It is an applicant before the National Human Rights Commission (NHRC). It has appeared before the Parliamentary Standing Committee on Science, Technology, Environment & Forests, Parliamentary Petitions Committee, Parliamentary Standing Committee on Food, Consumer Affairs and Public Distribution Parliamentary Standing Committee on Labour and relevant UN agencies besides Inter-Ministerial Committee on Ship breaking. It was the applicant before Hon’ble Supreme Court wherein the order for creation of the Shipbreaking Code was passed. TWA had appeared before the Hon'ble Court’s Monitoring Committee on Hazardous Wastes, Court’s Technical Experts Committee on Hazardous Wastes related to Ship breaking and pursued cases involving famous ships like RIKY (Kong Frederik IX), Le Clemenceau, SS Blue Lady, Platinum II and Exxon Valdez and others. It has been an invitee to UN Meetings and training workshops of Comptroller Auditor General of India on environmental health. It is noteworthy that while Government of Gujarat did the right by building Pipavav as as dry dock facility for ship breaking in the 1990s, it failed to follow it up in Alang where environmentally damaging beaching method continue to be adopted. This method has been discontinued in Europe and it is being abandoned in the developed countries. In view of the above, we seek Committee’s intervention to undertake probe the murky deals of Maersk to uphold its obligations under the Basel Convention and ensure compliance with Hon’ble Court’s orders and the Shipbreaking Code. It should factor in the fact that India being a Party to the Convention has a legal obligation to uphold the treaty it signed in supreme national interest and resist lobbying by vested interests. It should also consider recommending against proposed Hong Kong Convention which is contrary to India’s interest and in order to uphold the letter and spirit of Basel Convention. The Committee should recommend a comprehensive audit by Comptroller Auditor General of India to ascertain the implications of dumping of hundreds of end-of-life ships in Indian waters that is belittling India’s stature among the comity of nations. We will be happy to appear before the Committee with relevant documents and facts. Shri Manoj Kumar Tiwari .